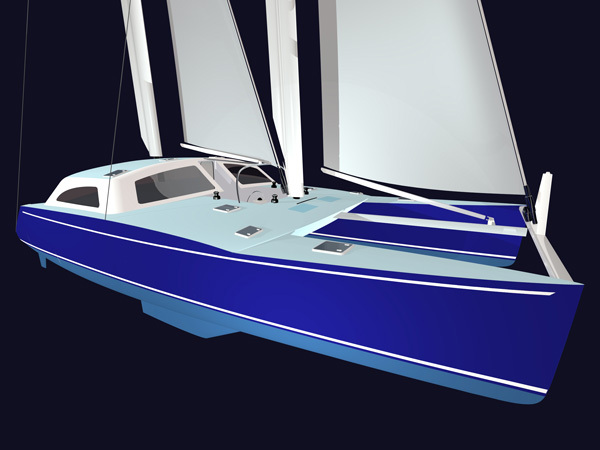 I’ve always been impressed with Chris White-designed catamarans. 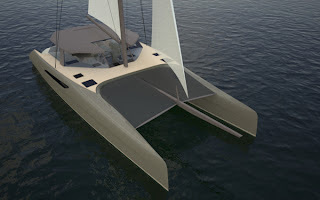 And now he’s turned his attention to completely reinventing what a rig on an safe, speedy, and comfortable offshore-ready cruising catamaran can be. Check it out. According to his website “The Chris White Designs MastFoil™ (patent pending) is a unique combination of modern rigid airfoil technology with proven soft sails. The basic concept is not new and you can see examples of large rigid wings and soft sails in the current America’s Cup catamarans. However, the main difference is that the MastFoil is a small part of the overall sail plan and can rotate 360 degrees around the load bearing mast which allows it to be feathered on any point of sail and in any wind velocity. Left alone, the foil will continuously feather if the control is set in that mode. Without this critical ability to feather on any heading, a rigid airfoil would typically not be suitable for use on a cruising boat. Another important difference is that the foil does not carry any of the mast compression loads. This enables the foil to be lightweight, structurally simple and rotate easily around the mast. 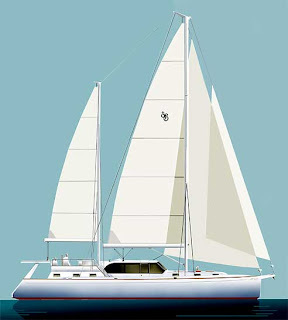 According to White, the mainsail, particularly the large roached, full battened mainsail combined with the aft-led-shroud, no-backstay-configuration that is used in most catamarans today, is by far the most troublesome sail to hoist, reef/unreef, furl and cover. In addition, mainsails create significant safety liabilities because they cannot be easily or quickly reefed or furled when sailing downwind. In violent squalls this feature has caused more than a few capsizes. 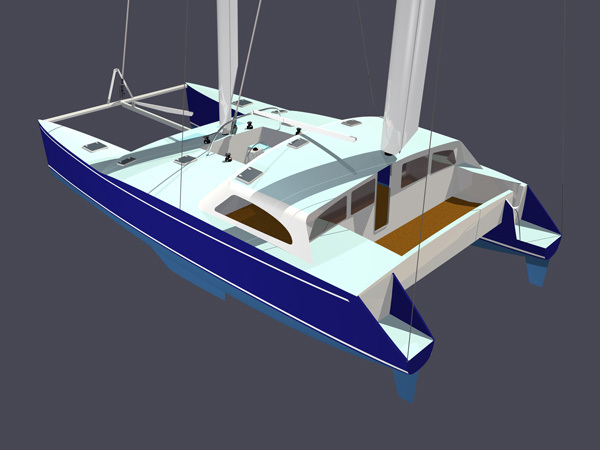 The conventional catamaran mainsail can also be somewhat risky to gybe in a blow. The soft sails can be reefed and furled on any point of sail and in any wind velocity. Simple and quick self tacking. Super safe and effortless gybing. The MastFoils add considerable drive to the sail plan despite their modest size. In stronger winds the MastFoils alone will provide enough power to sail in any direction. The MastFoils are excellent storm sails. They create powerful drive, but minimal heeling forces because of their size and aspect ratio. The MastFoils are quiet, never flog, have very low “sheet” loads, and they can be trimmed for efficient operation in any wind direction. The MastFoils can be easily feathered into the wind on any point of sail which makes them nearly “invisible” to the wind. As you can see this is a pretty well thought out idea. And Chris has even told me that he has some unedited video of a prototype. I haven’t seen any video yet. I’ll post a clip as soon as I do. In the meantime, click here for more information. 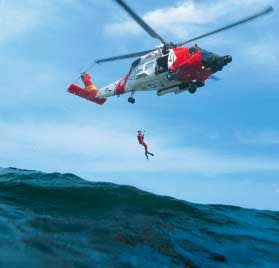 What’s it like to be rescued by a USCG helicopter team?